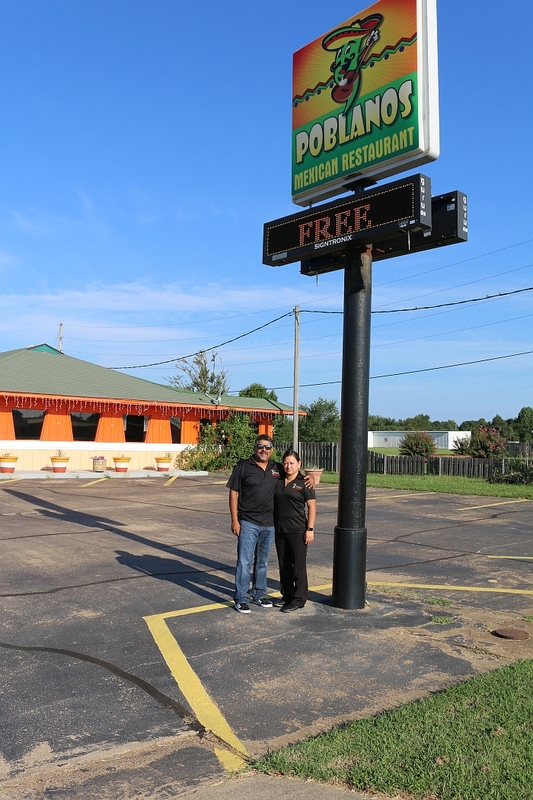 Josue and Paola Sanchez, owners of Poblanos Mexican Restaurant at 1624 S. 4th Street here in Nashville. They have been in business since April 2002 in the location which was formerly the Pizza Hut. They are open Monday thru Thursday, 11:00 AM - 9:00 PM, Friday 11:00 AM -10:00 PM, and Sunday 7:00 AM -9:00 PM. Their phone number is: 451-9468. They have 25 employees. Their most memorable moment was when Channel 3 KTBS Shreveport was here twice on separate occasions to talk about their business. 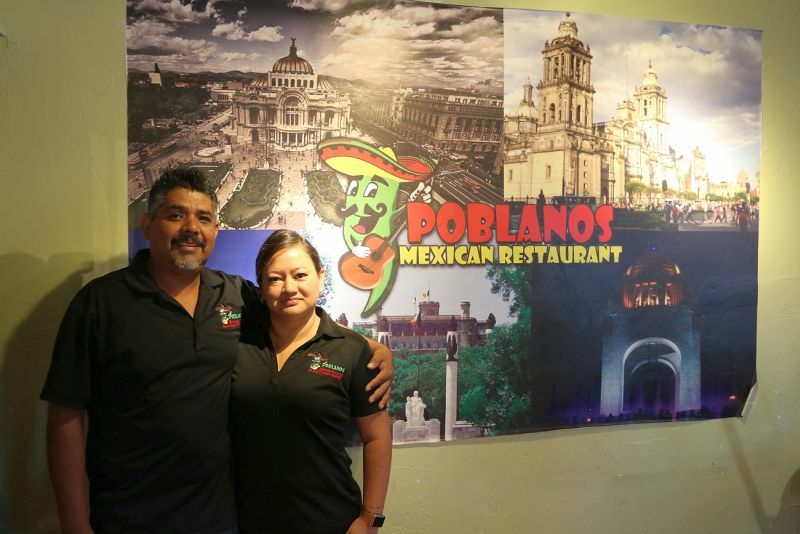 They love to help the community because of what the community has done for their business. We're glad to be in Nashville!! !